A new £46m train depot is to be built in Wigan to accommodate the additional trains planned for the region. The depot is part of the Great North Rail Project. With the number of passengers set to double in the north over the next 25 years, more trains – and depot facilities – are needed. 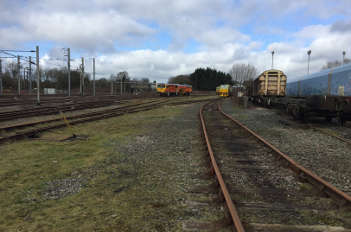 Network Rail is adapting an existing freight yard at Springs Branch railway sidings in Ince-in-Makerfield, to stable and maintain 24 electric and eight diesel trains – creating almost 20 jobs in the process. The location provides easy access to the electrified rail network and the depot will provide more flexibility for train operator Northern to move it trains across the North overnight in preparation for services the next day. It will be brought into use from December 2019. Ben Ackroyd, engineering director at Northern, said: ‘The new maintenance depot is a key part of our wider modernisation programme. ‘By 2020 we will have retired all Pacers, refurbished our entire fleet and, of course, will have introduced our brand new electric and diesel trains. We will need state-of-the-art facilities to look after these trains and Springs Branch is a key part of this.